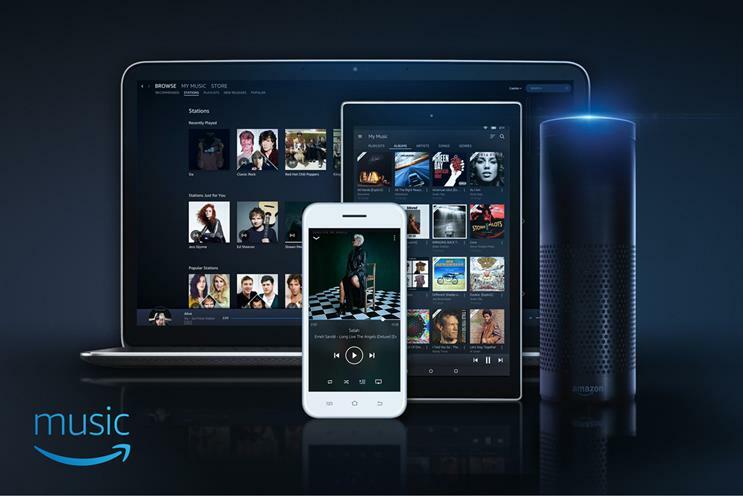 Amazon has launched Amazon Music Unlimited in the UK - its first music streaming service designed to offer a comparable product to market leader Spotify. The tech giant previously offered Amazon Prime Music free to Prime members; this service only featured about one million songs, however, compared to the 35-40 million in Spotify, Apple Music, Google Play Music, Deezer and Tidal. The new product has more than 40 million tracks, along with thousands of hand-curated playlists and personalised stations. It is available to anyone for £9.99 a month – the same price as Spotify and Apple Music. But Amazon is aiming to undercut its rivals by offering a discounted rate to Prime members: £7.99 a month, or £79 a year. Additionally, it is offering a special "for Echo" subscription, which allows the service to be used on a single Amazon Echo device for £3.99 a month. Unlimited Music is designed to work with Amazon’s AI personal assistant Alexa by, for example, finding a song when part of the lyrics are read to Alexa, or automatically creating a playlist of music from a particular year when asked. Jeff Bezos, Amazon founder and chief executive, said: "If you want a sense of the future of voice-controlled music, go ahead and ask Alexa for a free Amazon Music Unlimited trial, and play around on your Echo. "If you don’t know the name of a song but know a few lyrics, if you want to hear songs from a specific decade, or even if you’re looking for music to match your mood, just ask."